There are a lot of lists of generic easy-care house plants. Heck, we wrote one! But we started discussing which of our own plants we found to be easiest and narrowed it down to five each for a total of ten — some of which you may not agree with. Tell us your easiest to care for house plant in the comments, or share it in the HPH Facebook group! Hoya krohniana “eskimo” — About seven months ago I got a couple cuttings of these, and not only did they root extremely well, and quickly might I add, but they also have bloomed four times! The small fuzzy white flowers has a strong, but pleasant, sweet smell. All I do is water them when the soil is dry and keep them in a southern facing window that is shaded by a big old birch tree. This is one of those must have Hoyas for beginners and experienced hobbyists alike! 2. Norfolk Island Pine — Araucaria heterophylla is a popular tropical tree sold around the holidays that makes an impressive house plant as it grows larger. Once you get a sense of what your Norfolk Island Pine needs to thrive, they really are easy trees to keep in the home. A well-draining, sandy potting mix and higher humidity will set your Norfolk Island Pine up for success. 3. Orange Bird of Paradise — ‎Strelitzia reginae is one of those plants that have been a favorite for generations. The large dark green leaves bring a bit of a tropical feel into your home and make a great statement piece. I got mine as a tiny baby in a four inch pot, and although it was been through a lot, it is still going strong! These “birds” are a must have that are also drought tolerant, so if you forget to water they will not throw a fit. 4. Monstera deliciosa — These plants grow like weeds! They tolerate a wide range of household conditions. Give it some bright light, well-draining soil, and a good watering when the top few inches of soil have dried out and watch it take off. You may even end up getting it a moss pole or totem for it to climb if you don’t want to sacrifice your furniture to make space. 5. Coffee tree — Despite a reputation of being finicky, Coffea arabica isn’t really that bad. One of the most common reasons for a sad coffee tree is lack of humidity. They thrive on higher humidity than what is normal for most households. Once you’ve got a handle on your humidity situation, coffee trees are pretty easy to grow. You may even get a few coffee beans out of the deal! 6. Philodendron ‘spiritus sancti’ — Because rare plants can be so intimidating, the P. spiritus sancti makes the list for being an incredibly laid-back plant. Far from needing a lot of coddling or fussing, in a humid plant room this impressive specimen will mind its own business and pop out leaf after striking leaf. 7. Hoya pubicalyx “royal hawaiian purple” — These are also sometimes called “chimera,” due to the flowers tending to have splotches of pink and near black on them. The first Hoyas I ever got were two little babies of these, and all they’ve done is grow like weeds! The gorgeous green leaves, which are about eight inches long, have speckles and splotches of a mossy silver color that are sure to catch attention! 8. Schefflera — Whether we’re talking large or small, the Schefflera (sometimes called umbrella plant) is an easy-going addition to the indoor garden. Find them a bright window, water them thoroughly when they dry out, and don’t be scared to prune them when they get too unruly. 9. 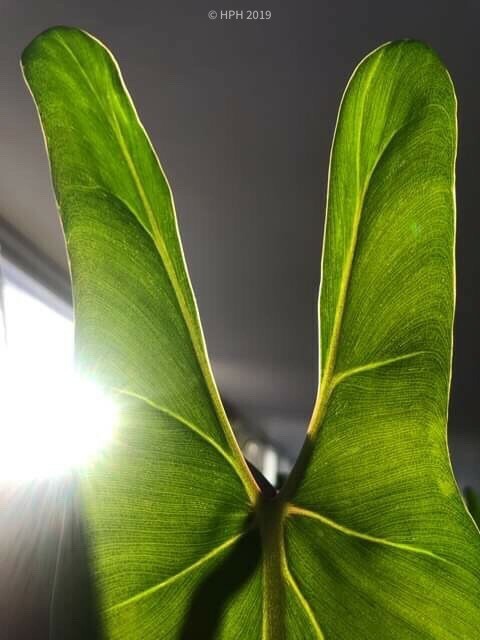 Philodendron “micans” — Philodendron hederaceum var. hederaceum “micans”, also called a Philodendron scandens 'micans,’ among other names such as the velvet leaf Philodendron. I have had mine for a while now, and it has done nothing by grow constantly. While the topside of the leaves is a gorgeous, satin looking dark green, the underside is a bright pink/orange hue that really pops. 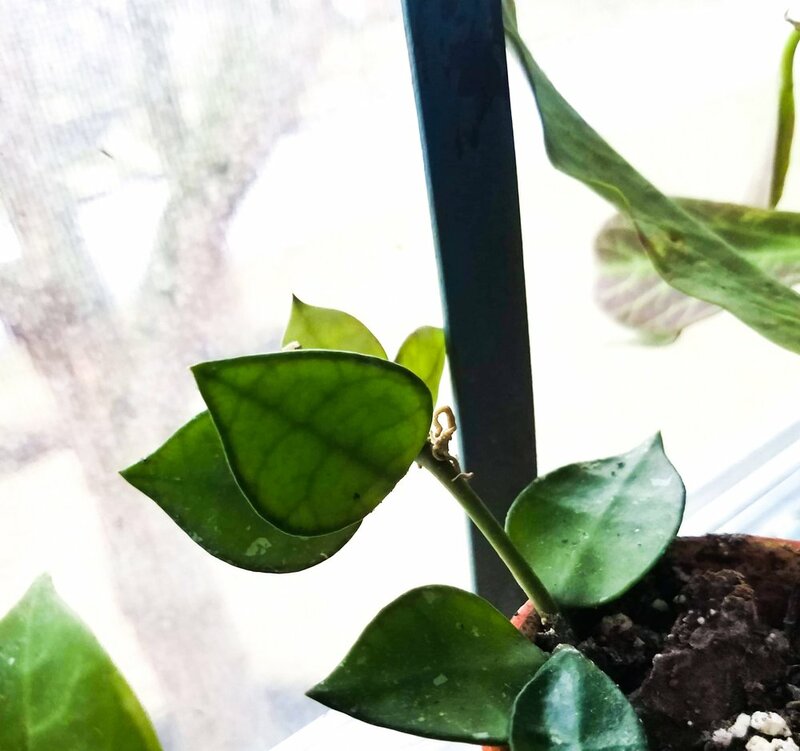 I have mine so that the backside of the leaves face the room, so I constantly have a bright splash of color, even on the dreariest winter days. “What's in a name? That which we call a rose By any other name would smell as sweet." This quote from Romeo and Juliet by William Shakespeare perfectly sums up the micans, no matter what you call it, it is still a gorgeous plant. 10. Ponytail palm — Beaucarnea recurvata are not rare in any means, but are very easy to care for. The common name is ponytail palm, but these are actually a type of succulent, which is evident by the “trunk” that holds water. Mine has been knocked over by an overzealous kitten, had a few leaves chomped on by said kitten (yes, sometimes our pets can be a bit naughty too! ), and has been moved but it never once stopped growing or even acted like it cared.